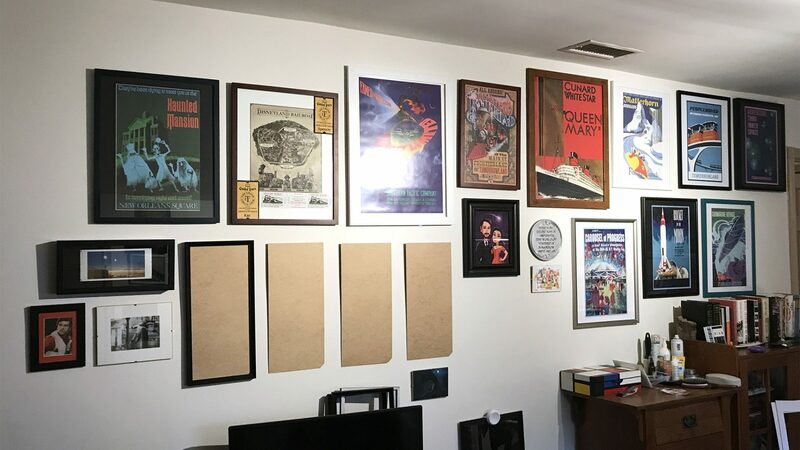 My bedroom and office walls are covered — covered, I say — in posters, photos, and paintings (which I’ve made, I’m not much of a collector). I’ve run into unusual sizing many many times before and what I often ended up doing was simply centering the image within the frame on a white background and calling it a day. Cutting mats ended with Xacto blades going wildly off course and mangling the edges. Mat cutters do exist but such a specialized tool seemed unnecessary when I could follow the least resistance and find a frame that’s close enough. My regret at not figuring out how to frame things myself after all these years, knocking dozens of holes into dozens of walls to hang an endless march of images that are only presented close enough, is considerable. 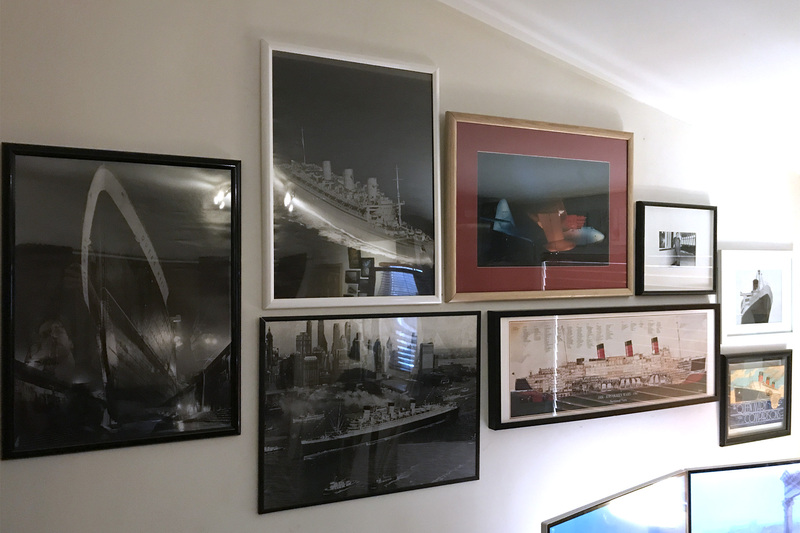 My current set up, which I like more than any I’ve had before, is the result of many hours arranging the images on a scaled grid and cursing the architects of my bedroom for building everything by eye, leaving no line straight, flat, or level. Regardless. The wall now is purposeful without being rigid, harmonious without being symmetrical, thematically interesting without being monotonous. 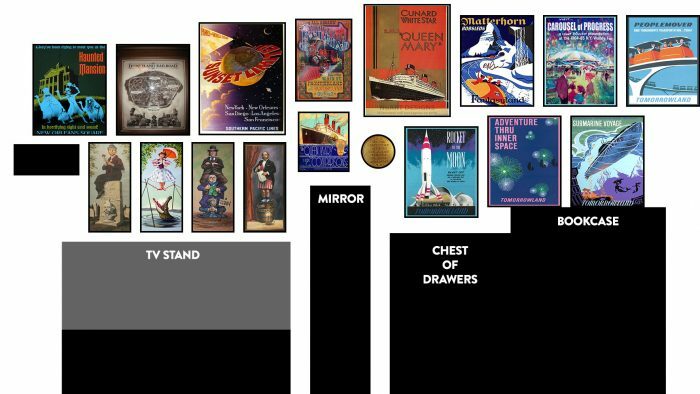 I only have so many kinds of things I want to look at every day — ships, trains, and Disneyana because as ever the things you obsess over as a child never really leave you — so this collection is both what inspires me and what grounds me.